Provide comfort for the family of Francis Kitchenka with a meaningful gesture of sympathy. 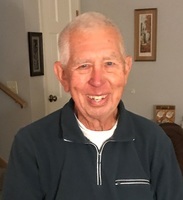 Foxboro, Naples and Bangor - Francis “Frank” L. Kitchenka, 80, passed away on March 18, 2019 at the Maine Veterans’ Home in Bangor. He was born on August 19, 1938 in Bridgeport, CT to Francis and Anna (Lucas) Kitchenka. Frank graduated from Melrose High School in 1955 and Lowell Technological Institute in 1960 with a degree in Engineering. A member of ROTC, he served 5 years in the U.S. Air Force. Following his service, he devoted 33 years as an employee at the Foxboro Company. Frank loved being outdoors, especially in Maine on his ATV, motorcycle, jet-ski, snowmobile, or boats. He was a member of the Civil Air Patrol and perhaps loved flying his plane most of all. 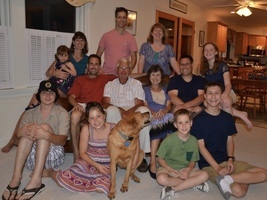 He leaves his beloved wife of 56 years, Carol; three children, Paul Kitchenka (Carol Jarvis), Bryan Kitchenka (Valerie), and Julie Ferland (Chris); six grandchildren, Douglas and Lucy Kitchenka, Graham, Erin and Riley Kitchenka, and Isabelle Ferland; and his sister, Susan Clasby (Steve). In accordance with Frank’s wishes, a private burial and celebration of his life will be held at a later date. Those wishing to remember Frank in a special way may make donations in his honor to the Maine Veterans’ Home, 44 Hogan Road, Bangor, or the YMCA, 127 Hammond Street, Bangor, 04401. Provide comfort for the family of Francis L. Kitchenka by sending flowers. Frank was a wonderful manager, mentor and teacher to me at The Foxboro Company and he and Carol also me and my family to their Maine summer cottage. Great sense of humor and realism. Condolences to the family and Frank, may you continue smiling and Rest In Peace! Frank was a special friend to me. Although I only knew him more recently as a fellow swimmer at the Y, he was always cheerful and had a smile, and at breakfast on Sunday mornings he always had plenty of interesting stories. I will miss him dearly.